The ISE Card will be your International Student Identification Card to verify your eligibility for student or youth discounts as you travel. 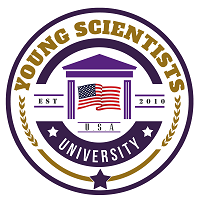 Many attractions, museums, tourist & educational destinations, and other companies around the world offer student and youth discounts. 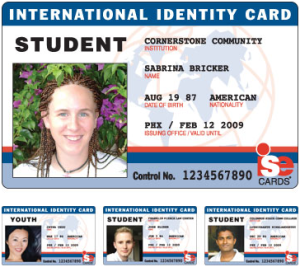 The ISE Card is an internationally recognized ID card and has been proven to be accepted for student verification. Valid for a full 12 months from the date of issue. That’s right, continued coverage for extended stays. And you can take advantage of local deals in your area after you return. You’ll enjoy a full year of benefits! ISE Card is a professional looking full-color photo ID card printed on durable PVC plastic. The ISE Card opens the door to a world of savings. Our worldwide network of discounts currently includes Europe, USA, Korea, Singapore, Egypt, and Australia. This card allows you to obtain discounts ranging from 10% to 50% on entrance fees to museums, castles, and palaces and, in some cases, grants you free admittance. You’ll also qualify for the special student rates and discounts offered by hotels, restaurants, shops, language, schools, theaters, concerts, operas, cinemas, recreational facilities, rentals (auto, motorcycle, and bicycle), bus routes, boat routes, railroads, and selected European airlines. For a listing of some of the discounts, click here. Throughout your membership you are covered with basic medical benefits that cover up to $2,000 in medical expenses, and up to $5,000 in evacuation fees, if necessary. The ISE CARD provides you with important protection while abroad. Once you become a member, you will be provided with a phone number you can call from anywhere in the world. We are there for you 24 hours per day, 365 days per year, to assist with lost passports, travel documents, or legal problems. Emergency cash can also be sent to you abroad as an ISE member. Please contact info@ysu.education for more details.